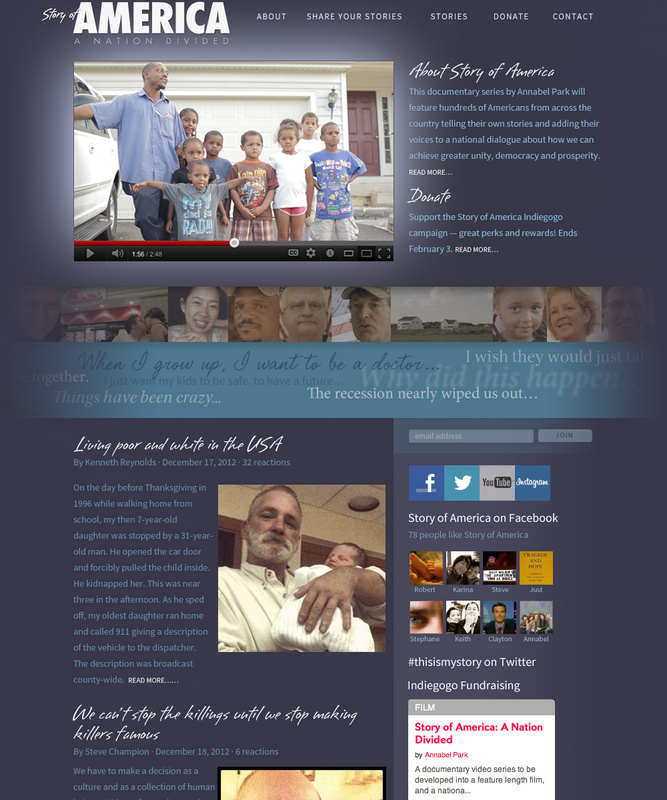 Design and implement a web site for a crowd-sourced documentary film project that aims to nurture the healing of America’s political and social divides by finding common ground in people’s stories. The site is designed to be a repository of shared personal stories as well as video segments produced for the film, with a goal of fostering conversation and ultimately building a community around the shared stories. 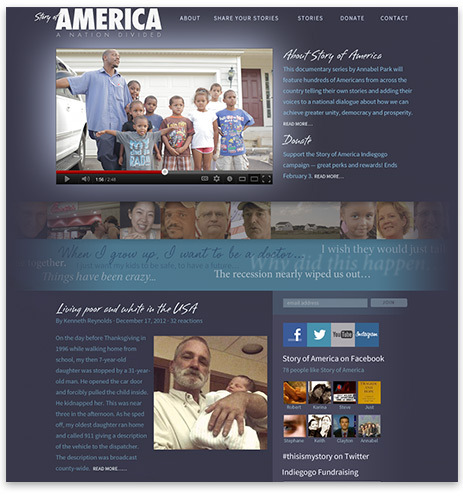 The design of the site, with its recurring theme of portraits and quotes, emphasizes the breadth and diversity of both storytellers and their stories. 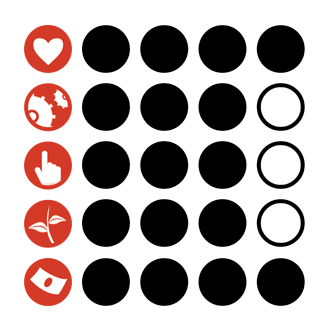 The site is built on the NationBuilder CMS, a grassroots organizing platform with strengths in social media integration and community building. 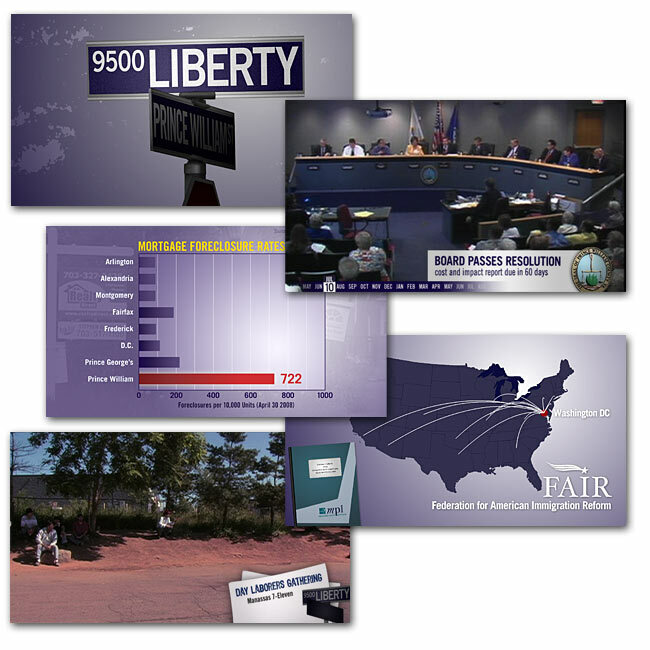 Design the onscreen titles and information graphics for 9500 Liberty, a documentary film that integrates names, places, dates, organizations and statistical information as a critical part of the narrative. 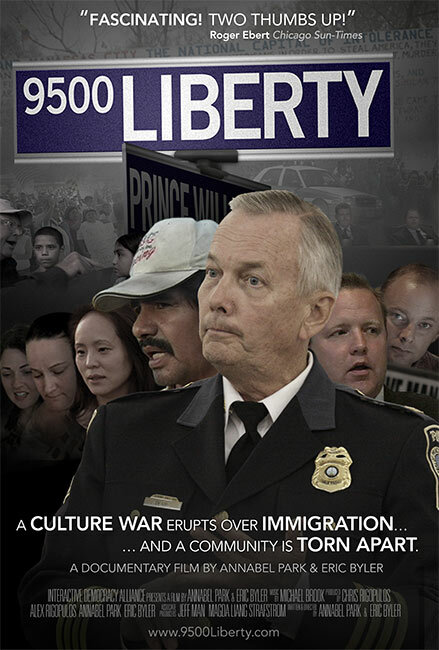 Collateral materials such as a one-sheet (poster), DVD case and sell sheet also must be developed that convey the compelling stories and personalities that inhabit a film that might be incorrectly perceived as a dry story about local political process. 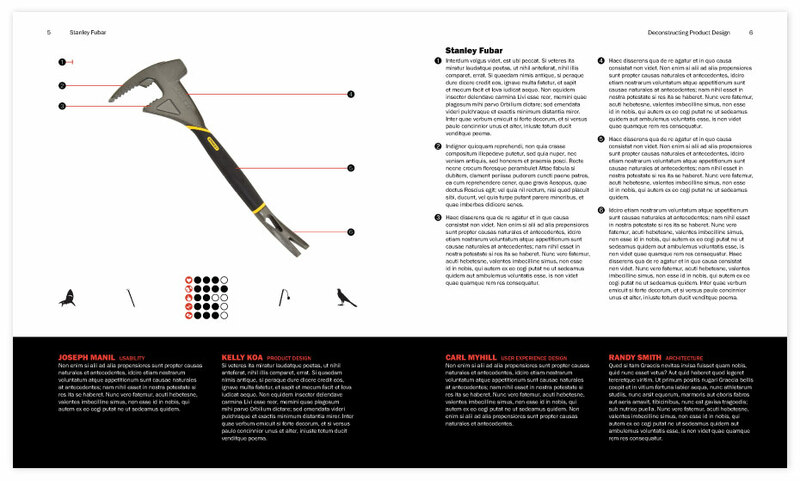 A cohesive visual style was established for the onscreen graphics, along with a complete system of iconic graphics that help to create visual identities for the organizations and timelines that are key to understanding the story’s progression. 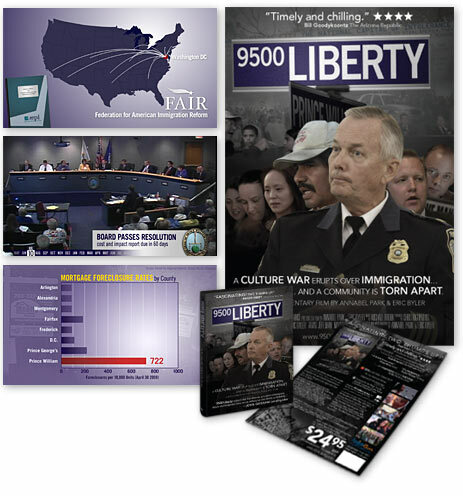 The printed marketing materials focus on the true-life characters who are driving events, literally portraying them against a backdrop of the political maneuvering, street actions and individual dramas playing out as events unfold. 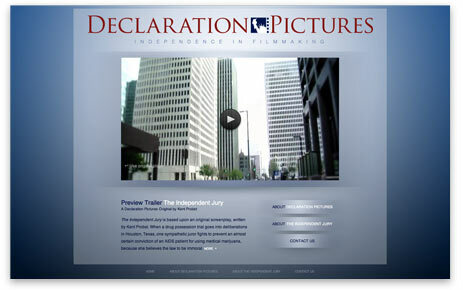 Design a web site and logo for an independent film production company to highlight a proposed film project and trailer while maintaining tight control on the site’s development costs. The Declaration Pictures logo style evokes the strong and classical nature of its namesake document, with additional reinforcing references in the color scheme and Liberty iconography. The logo image includes a visual reference to sprocketed film stock, sufficiently stylized to retain a fresh look. The spotlight effect and stage-like setting for the primary image on each page reflect the theatrical aspects of the company and its product. 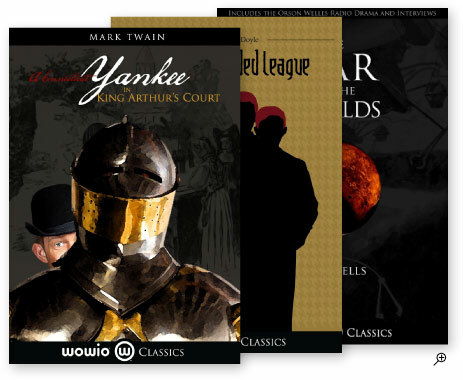 Design the covers and interiors for all-new editions of classic novels in PDF e-book format. 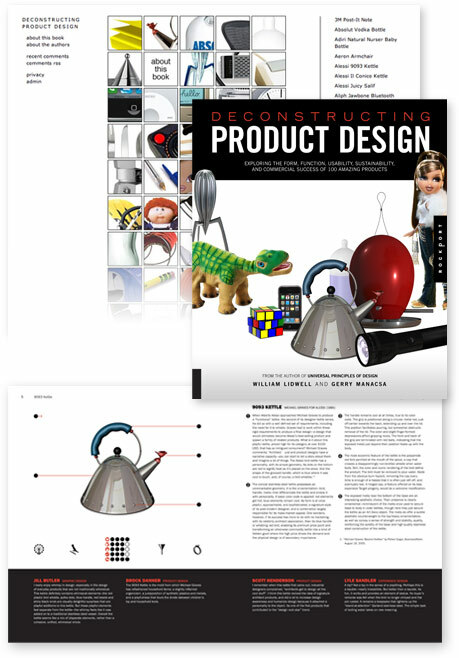 The book designs are to re-envision familiar titles to appeal to a modern audience while remaining strongly linked to the spirit and flavor of the written content. The War of the Worlds and A Connecticut Yankee in King Arthur’s Court sport cover treatments with a contemporary, stylized photographic look that also pay homage to their roots by subtly incorporating classic illustrations from early editions of the works. To achieve a similar contemporary/classic contrast with the Sherlock Holmes title, an abstracted, iconic illustration is placed over a quintessentially-English houndstooth pattern. Interiors also adapt classic illustrations in a renewed and, at times, stylized form. 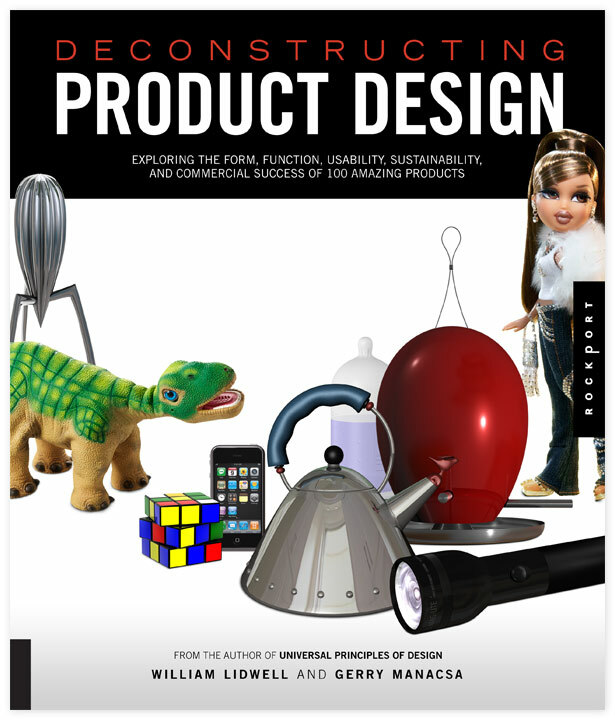 Develop the information architecture, interior layout and book cover for Deconstructing Product Design, a title co-authored for an audience of design-savvy readers. 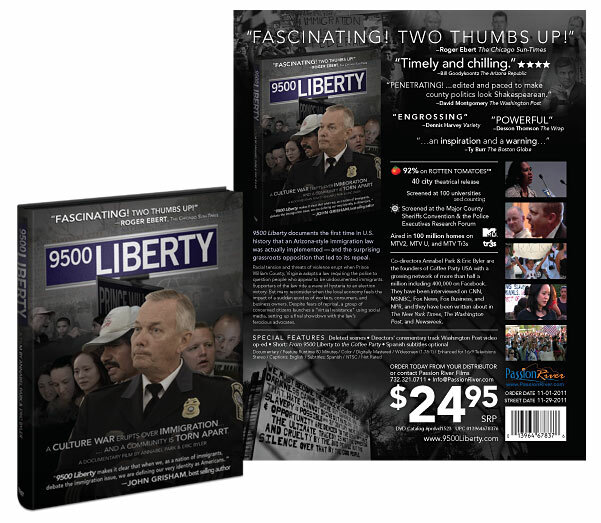 A tie-in web site is also required to promote the book and solicit visitor commentary for potential inclusion in the print edition.